This week started with review on issues pertaining Saturday’s tragic accident which claimed 7 lives at Madina in Accra. Myjoyonline reported “Western Region Chiefs to offer sacrifices to gods for ITLOS victory”. According to the news portal, Chiefs in the Western region have hailed the aftermath of the International Tribunal of the Law of the Sea (ITLOS) ruling which gives Tullow Ghana Limited the go-ahead to activate its plans to drill more wells to improve production in the TEN fields. Also the Finderonline reported “Jubilee partners urged to provide more support for fishing communities” this was further explained that, The Jubilee partners have been tasked to provide more support for fishing communities in the Jubilee and TEN areas of influence in the Western Region. Traditional authorities from the Western Nzema and Upper Axim areas raised the issue during an engagement session with Tullow Ghana Limited. Still on issues pertaining Saturday’s gas explosion, the EIB news website, Starrfmonline disclosed “Stop licensing fuel stations in Accra – Asaga” According to the news portal, the former head of the National Petroleum Authority, Moses Asaga has called on the regulator to stop issuing out fuel station license to new applicants in Accra. Meanwhile, the international news portal Reuter has also disclosed “Oil prices stable after OPEC signals possible further action”. 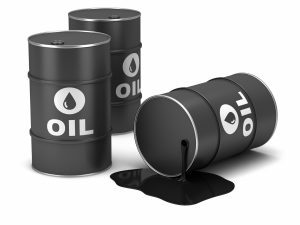 This they explained that Oil prices stabilized on Monday after one of the most bearish weeks in months, propped up by OPEC comments signaling the possibility of further action to restore market balance in the long term.